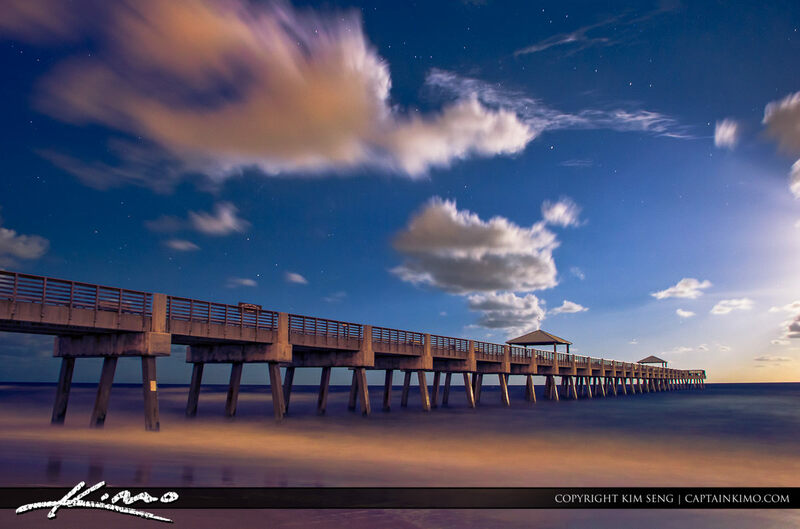 A photo taken under the moonlight at the Juno Beach Fishing Pier in Palm Beach County, Florida. Single exposure non-HDR image processed in Photoshop and Adobe Lightroom. 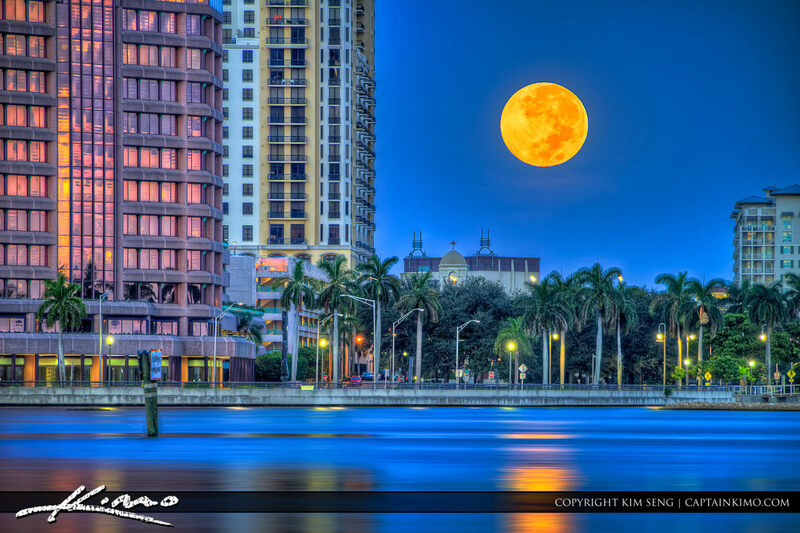 Here’s a photo of the almost full moon over West Palm Beach setting behind the buildings downtown Palm Beach County, Florida. Three exposure HDR image processed in Photomatix Pro HDR Software. 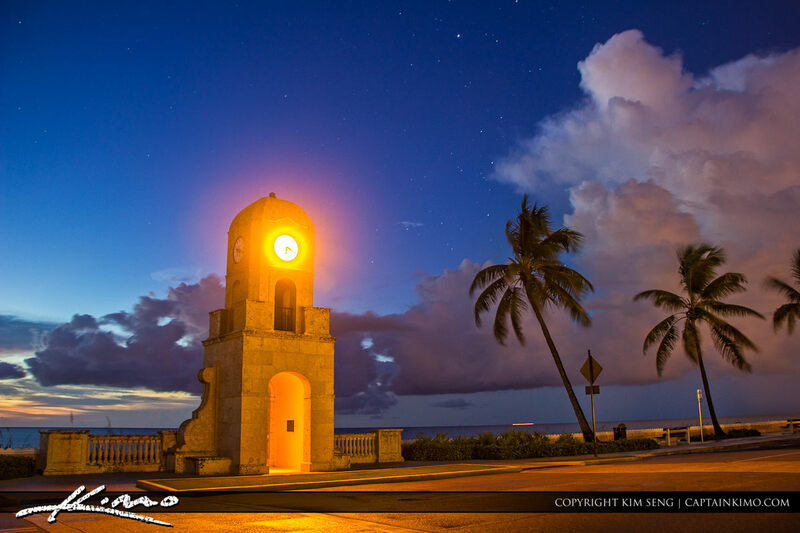 Nighttime HDR image taken from the Clocktower at worth Avenue in Palm Beach Island, Florida, Palm Beach County. 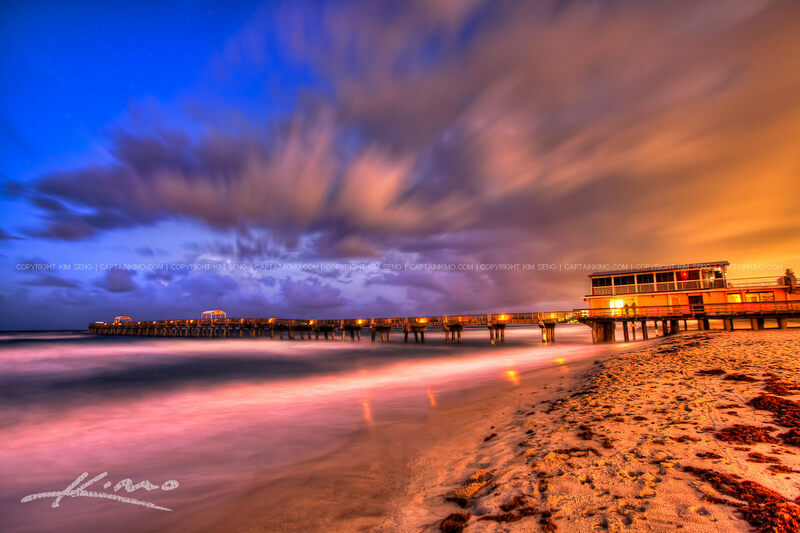 Nighttime HDR image taken before sunrise at Lake Boca Raton, Palm Beach County, Florida. Single exposure HDR image tone mapped using Photomatix Pro and Topaz Software. 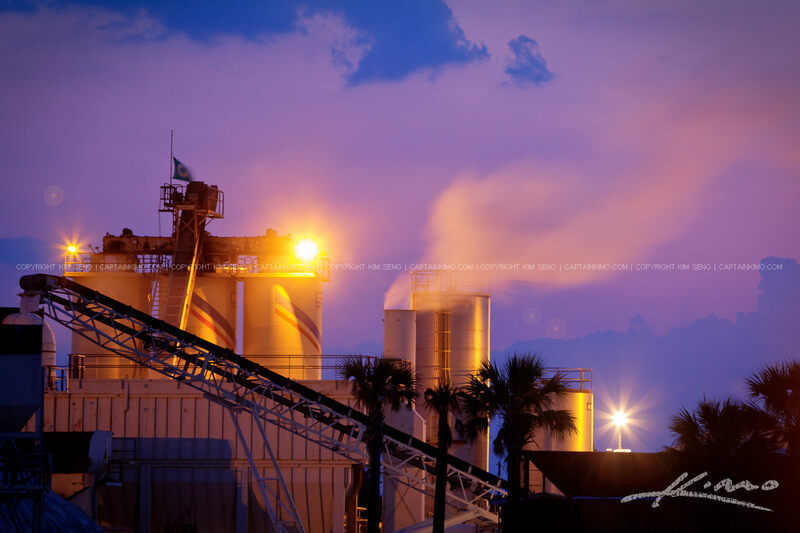 Single HDR exposure tone mapped image of a factory in Florida producing smoke from smoke stack into the air. 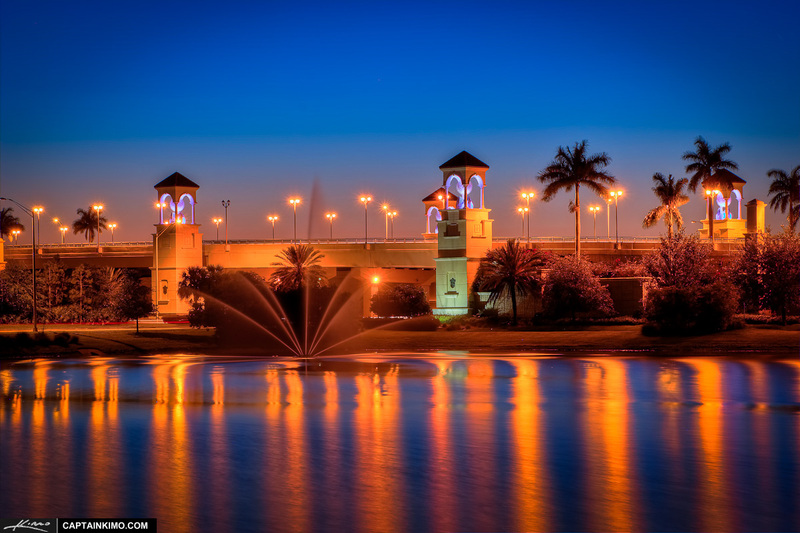 The PGA Boulevard Bridge taken after sunset last night after an uneventful photo shoot at Dyer Park. Three exposure High Dynamic Range photo merged in Photomatix Pro and enhanced in Photoshop with Topaz Plugins. 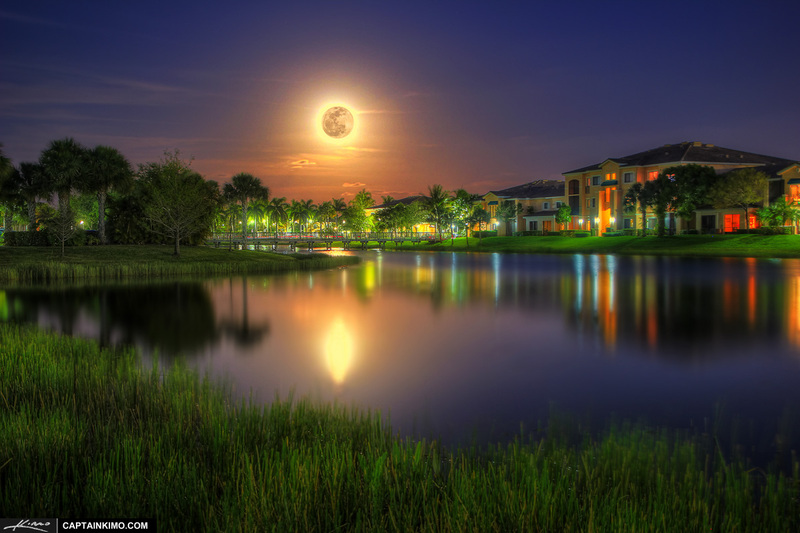 Full Moon Rise over a neighborhood lake in Palm Beach Gardens, Florida. Five exposure HDR image merged and processed in Photomatix Pro and enhanced with Topaz Software. 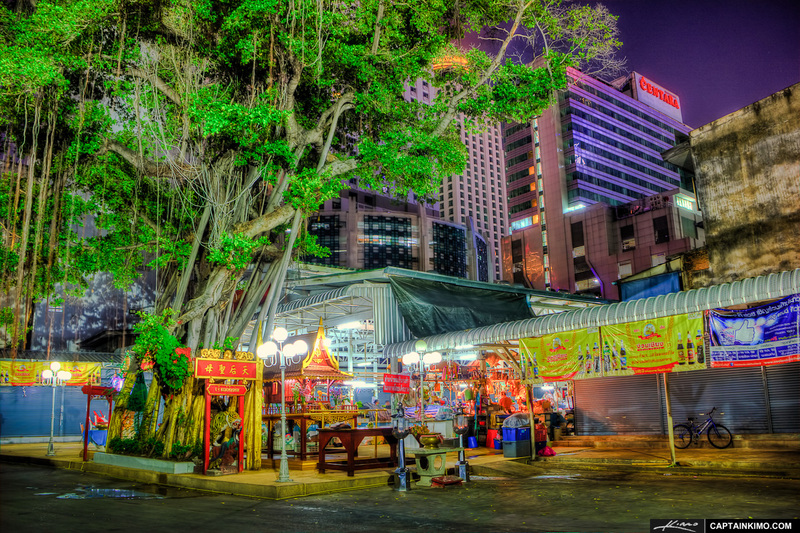 Three exposure night time HDR image from Bangkok, Thailand at the local food market during closing time. HDR image produced in Photomatix Pro and enhanced with Topaz Plugins. 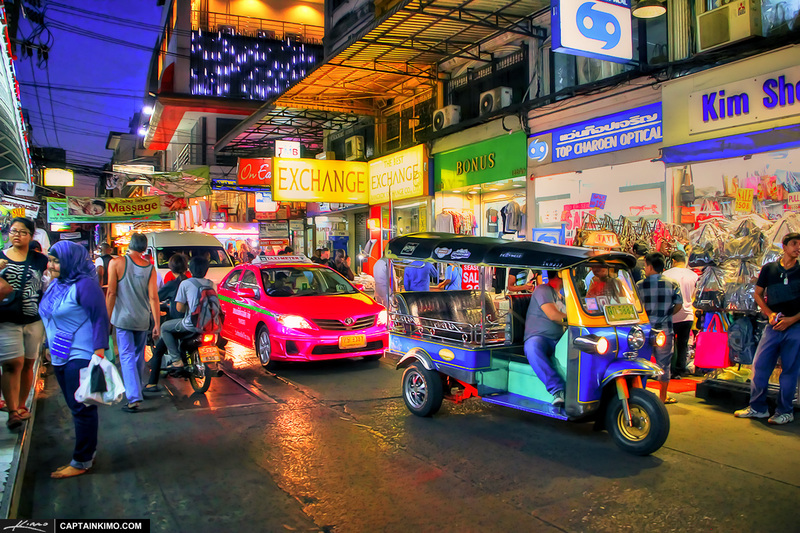 I am back in Cambodia now and here’s my first shot from the neighborhood. 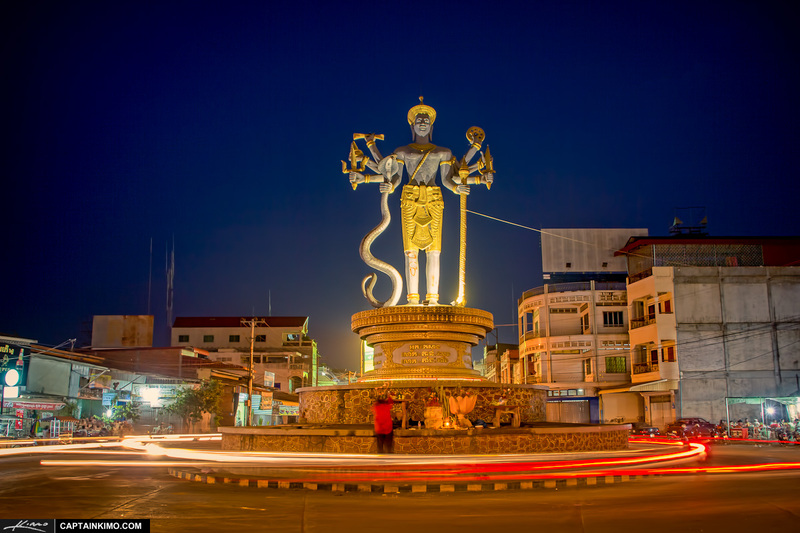 This is a nighttime scene located next to my Aunt’s house in Battambang. 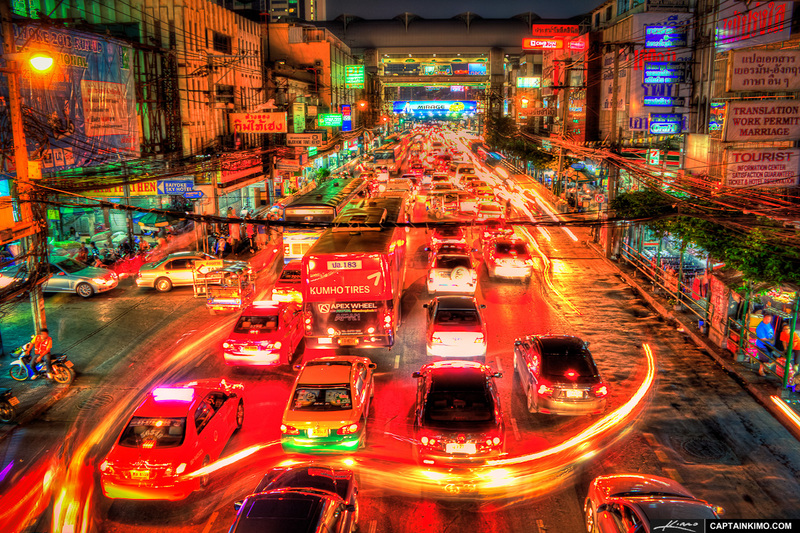 A bus stopped in the middle of heavy traffic makes for a pretty cool photo opportunity. Two exposure HDR image processed in Photomatix Pro and enhanced using Topaz Plugins. 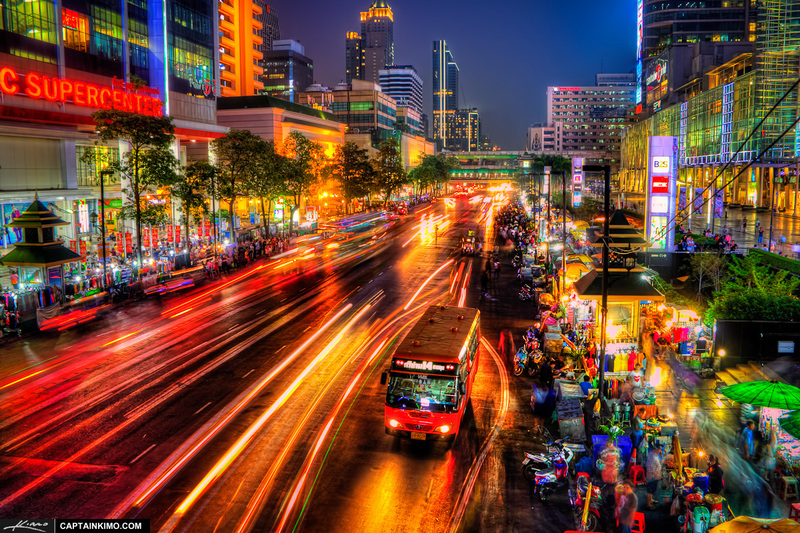 Two exposure HDR image from Downtown Bangkok City, Thailand. High Dynamic Range photo merged in Photomatix and enhanced in Topaz with Topaz Plugins. 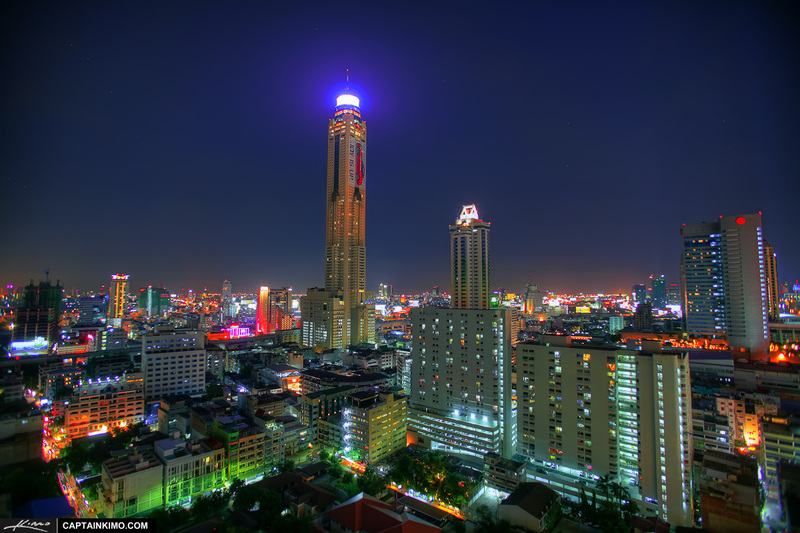 One of my first night time photos from Bangkok City lights in Pratunum, Thailand of the Baiyoke Sky Hotel. Three exposure HDR image processed in Photomatix Pro and enhanced using multiple Topaz Plugins. 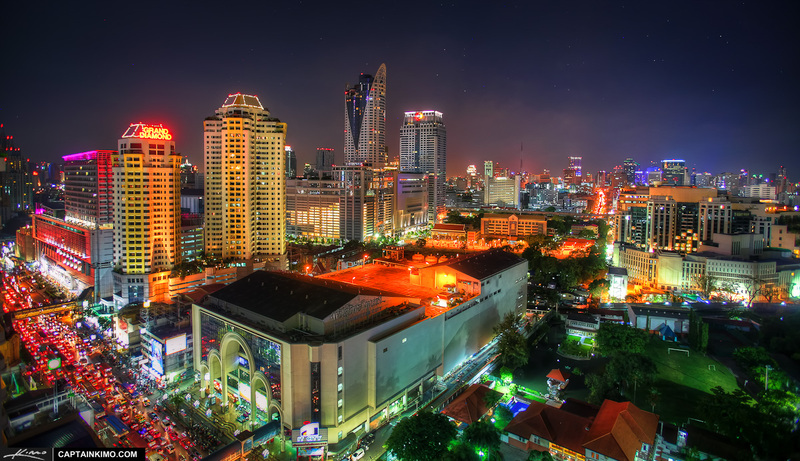 Three exposure nighttime HDR image from Bangkok, Thailand, with an aerial view of the downtown city lights. HDR image created in Photomatix Pro and enhance using Topaz Plugins. 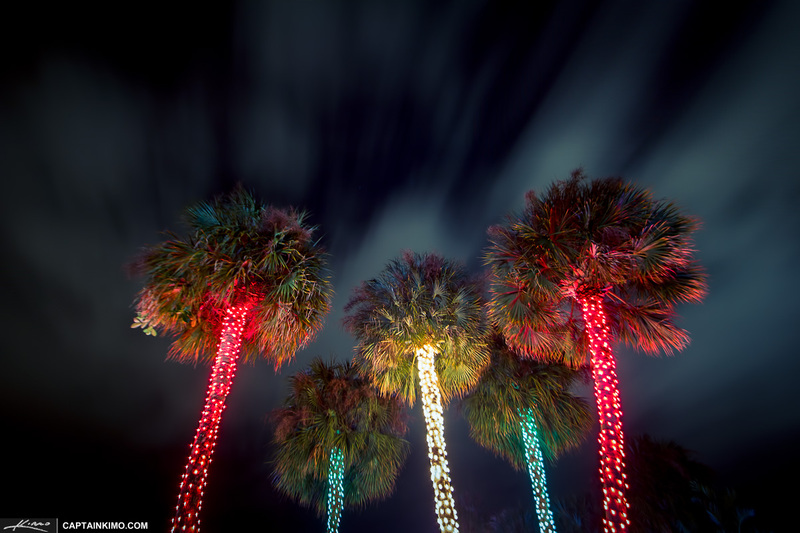 Merry Christmas and Happy Holidays to all from Captain Kimo at Palm Beach Gardens, Florida. Single exposure HDR image tone mapped in Photomatix Pro and enhanced using Topaz Plugins. 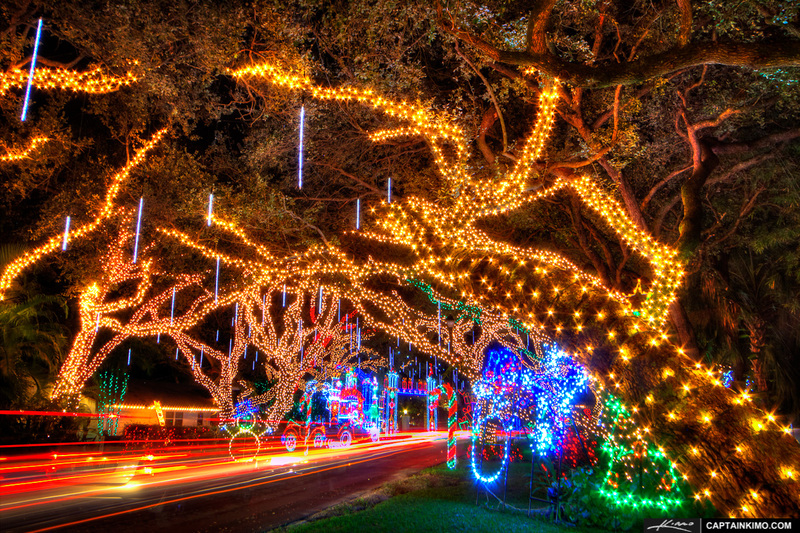 Here’s another shot from yesterday’s outing at the local neighborhood Christmas display. Single exposure photo adjusted in Photoshop Camera Raw. Topaz Denoise used to remove noise from low light image. 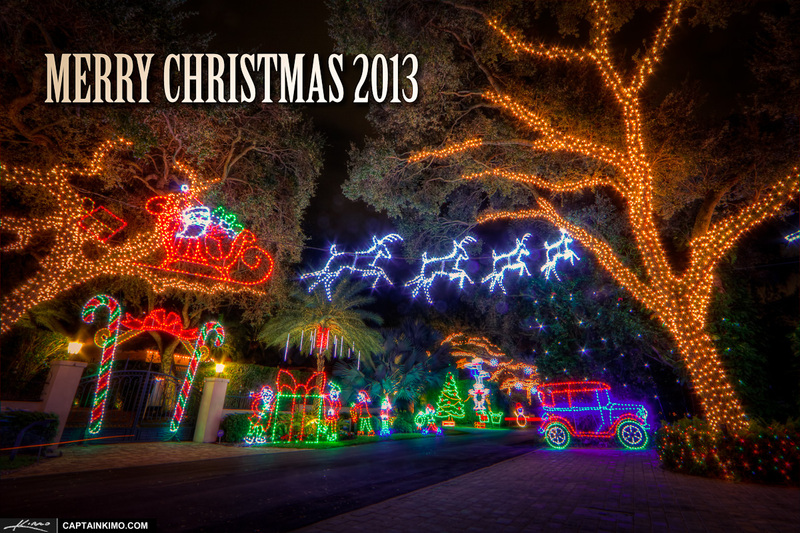 Tonight I went to shoot the Christmas light display at the local neighborhood street. 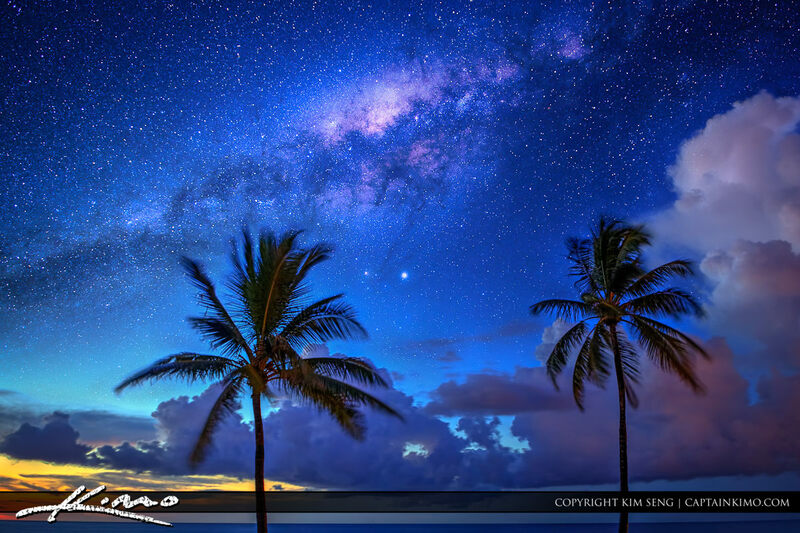 This is a two exposure HDR image processed in Photomatix Pro and enhanced using Topaz Adjust. 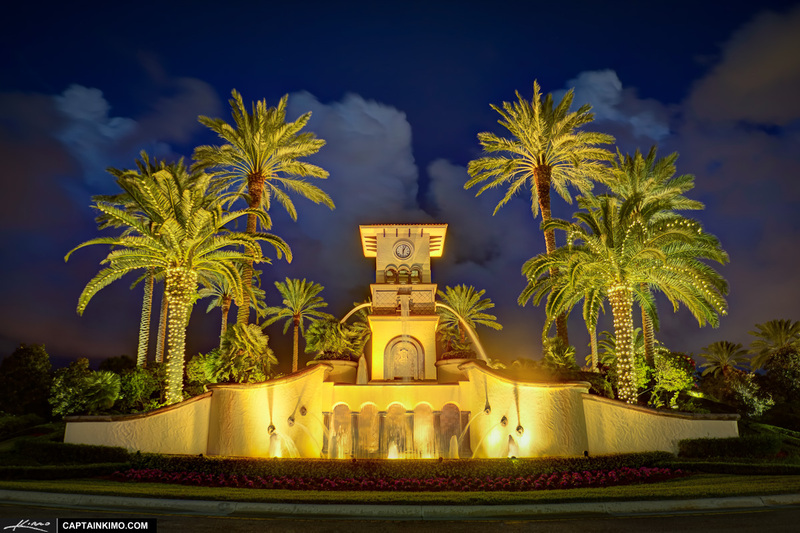 Last night I went out to Frenchman’s Crossing to shoot the water fountain at night. 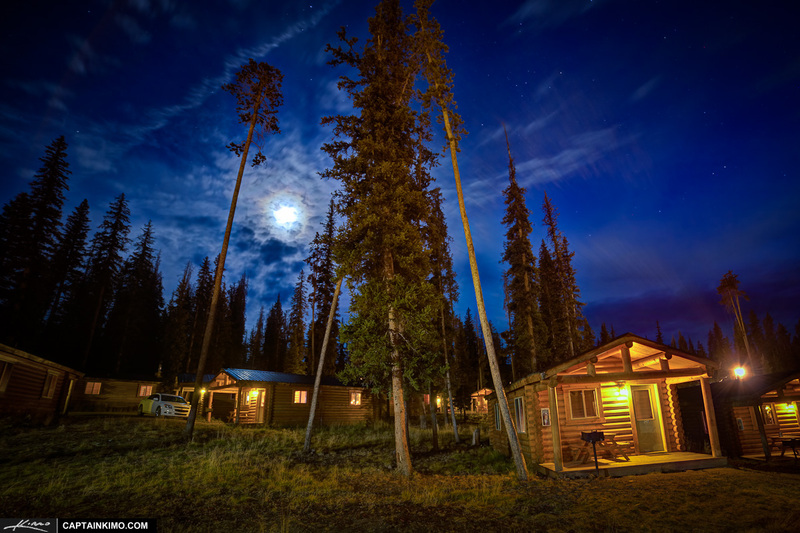 This is a 4 exposure HDR image produced using Photomatix Pro HDR software.